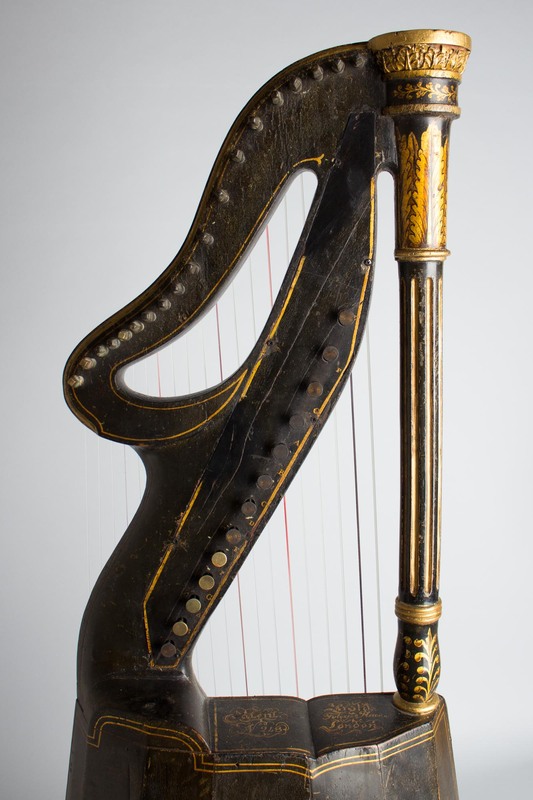 Edward Light Dital Model Harp, c. 1820, made in London, England, black with gold leaf stenciling finish. Here is a well-preserved and playable example of a very rare early 19th century E. Light Dital Harp, a stringed musical oddity popular for a short time in early 19th century London. 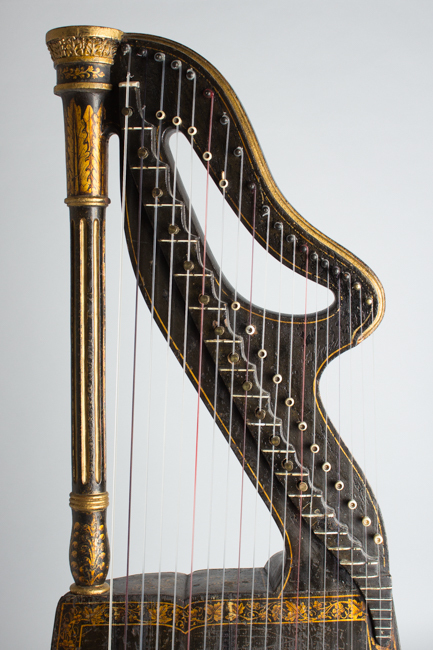 This harp is strung up and playable unlike most, which are generally considered museum pieces. 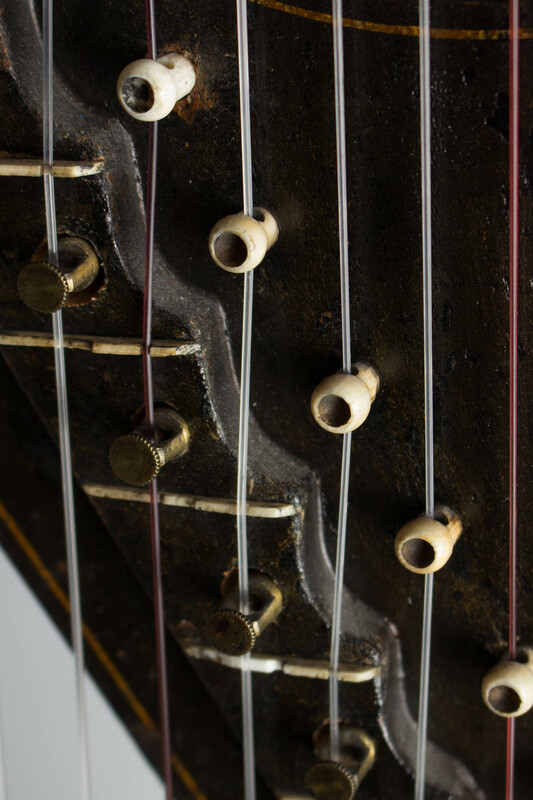 With contemporary strings the instrument is currently tuned lower than the originally specified pitch to avoid over-tensioning the top. With this caveat, it is a functional instrument with a lovely warm tone and is an excellent harp for a player or collector. 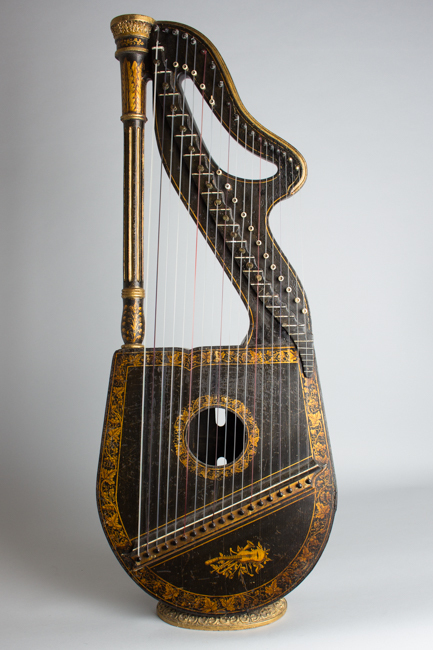 Edward Light, 1747-1832, was an inventor, composer, and organist who patented this British harp lute, later called the dital harp, in 1816. 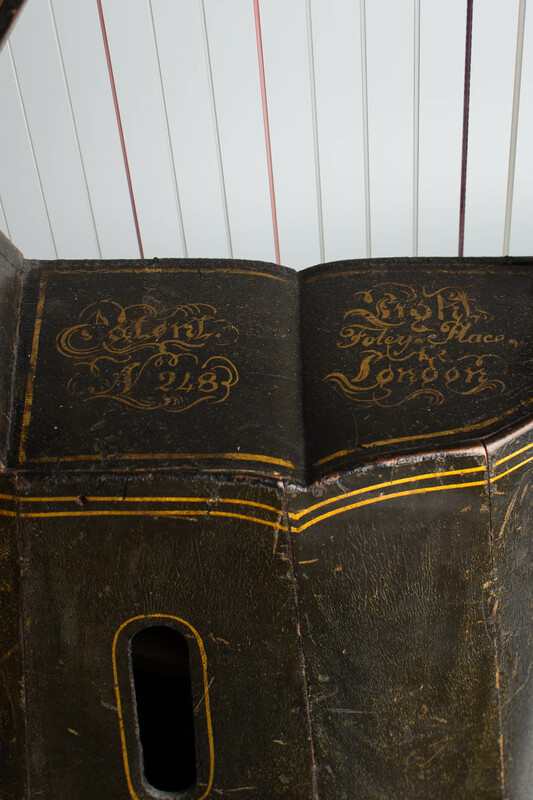 That same year he published "The New and Complete Directory to the Art of Playing on the Patent British Lute Harp". Similar to the extant example in London's Victoria and Albert Museum, this unique instrument was first publicized in 1815. 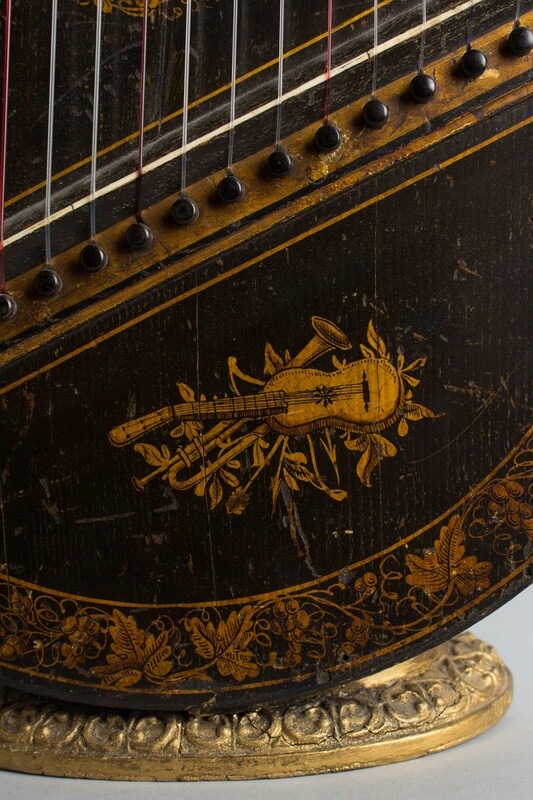 The harp lute, and somewhat more common six-string lyre-guitar and harp-guitar, were considered at the height of style for a brief period "reflecting times when ladies' fashions extended to small musical instruments, in this case married to the neo-classical pose" (Baines). Dr. Busby, in his "Concert Room Anecdotes" published in 1925, said, "This instrument is the most eligible accompaniment to the human voice". 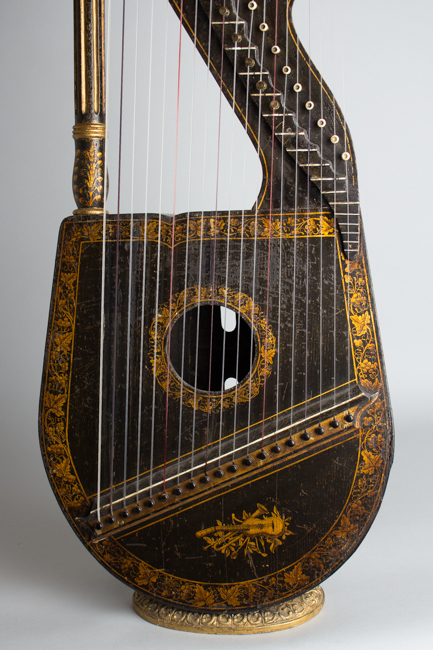 Thirty-one years earlier, he published "The Art of Playing the Guitar", and in 1798, he invented a type of harp-guitar. 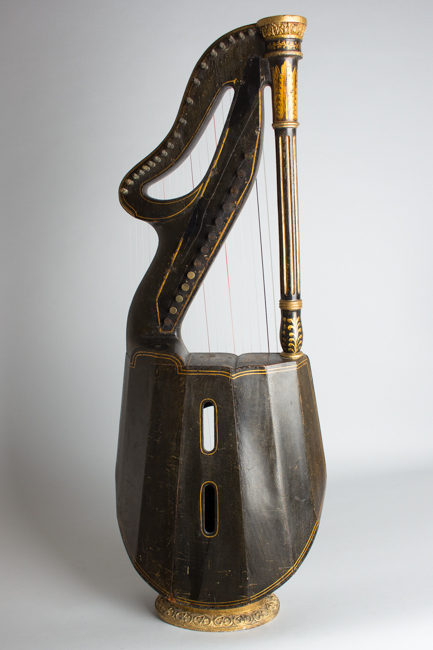 This was a guitar with the body shaped like that of a harp -- this later developed into the dital harp. 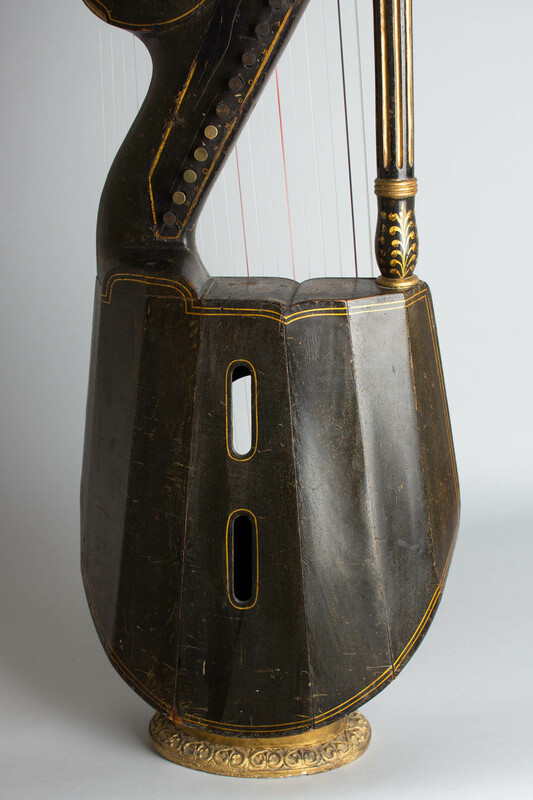 Robert Bruce Armstrong wrote in his book "English and Irish Musical Instruments, Edinburgh, 1908": "The Dital Harp is both in forma and tone, vastly superior to the Spanish guitar". While we can't fully agree, this is a lovely playable piece of art and a fascinating historic instrument. Overall length is 35 in. (88.9 cm. ), 13 1/2 in. (34.3 cm.) across at the widest point, and 5 1/2 in. (14 cm.) in depth at deepest point. Considering its early 19th century origins, this instrument remains in fine playable condition, with evidence of old repairs over the decades but in primarily original condition. 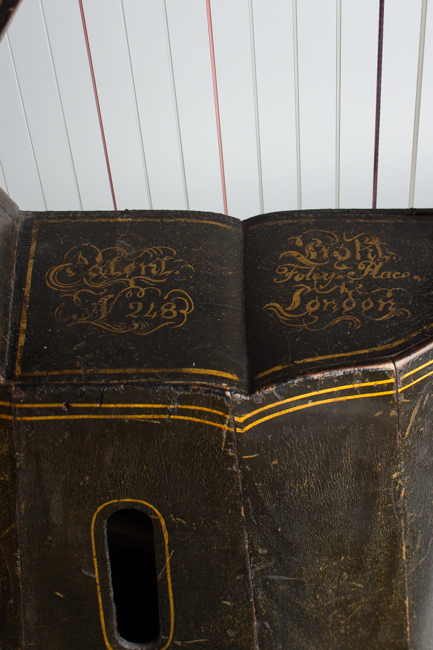 There is finish wear and checking commensurate with its age, with some overfinished areas on the top. There are a number of repaired cracks in various areas, but the instrument is solid. All the Dital buttons on the back function. Some may have been re-worked or re-fabricated at some point, but appear to the correct original pattern. 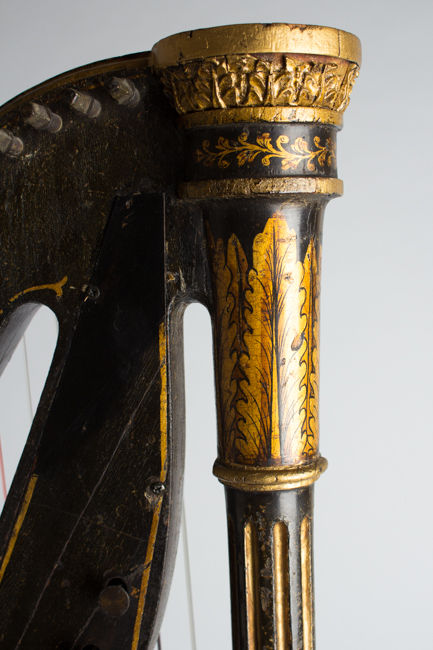 There are a couple of recent tiny Phillips screws in the back of the dital section, but all other components retain a 19th century appearance. The instrument is playable without further attentions and has a lovely, delicate sound. Excellent Condition.